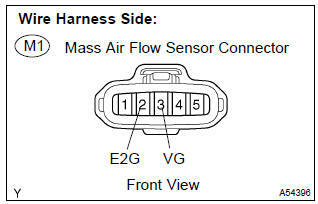 The maf (mass air flow) sensor measures the amount of air flowing through the throttle valve. The ecm uses this information to determine the fuel injection time and provide a proper air–fuel ratio. 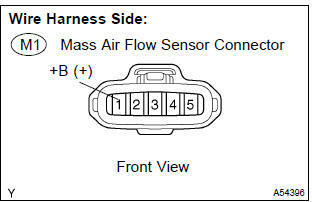 Inside the maf sensor, there is a heated platinum wire exposed to the flow of intake air. By applying a specific current to the wire, the ecm heats this wire to a given temperature. The flow of incoming air cools the wire and an internal thermister, changing their resistance. 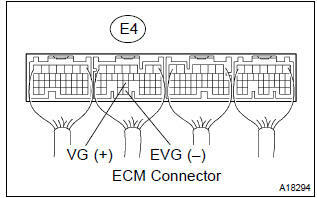 To maintain a constant current value, the ecm varies the voltage applied to these components in the maf sensor. The voltage level is proportional to the airflow through the sensor and the ecm interprets this voltage as the intake air amount. The circuit is constructed so that the platinum hot wire and the temperature sensor provides a bridge circuit, with the power transistor controlled so that the potential of a and b remains equal to maintain the set temperature. : after confirming dtc p0100, p0102 or p0103, confirm the mass air flow ratio in the ”diagnosis / enhanced obd ii / data list / all” using the hand–held tester or the obd ii scan tool. If there is a defect in the sensor or an open or short circuit, the voltage level will deviate outside the normal operating range. 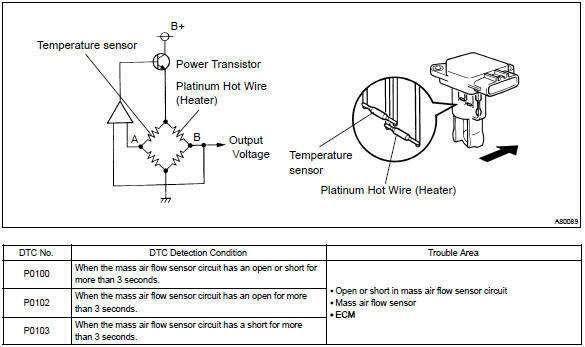 The ecm interprets this deviation as a defect in the maf sensor and sets a dtc. Example: when the sensor voltage output is less than 0.2 V or more than 4.9 V and if either the condition continues for more than 3 seconds. : read freeze frame data using the hand-held tester or the obd ii scan tool. Freeze frame data records the engine conditions when a malfunction is detected. When troubleshooting, it is useful for determining whether the vehicle was running or stopped, the engine was warmed up or not, the air–fuel ratio was lean or rich, etc. At the time of the malfunction. Connect the hand–held tester or the obd ii scan tool to the dlc3. 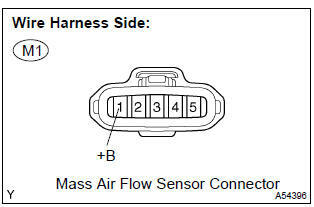 push the hand–held tester or the obd ii scan tool main switch on. select the item ”diagnosis / enhanced obd ii / data list / all / maf” and read its value displayed on the hand–held tester or the obd ii scan tool. *1: The value must be changed when the throttle valve is opened or closed. disconnect the m1 mass air flow sensor connector. measure the voltage between the terminal of the wire harness side connector and body ground. Reconnect the mass air flow sensor connector. 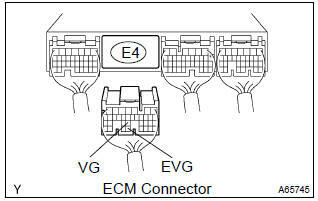 measure the voltage between the terminals of the e4 ecm connector. 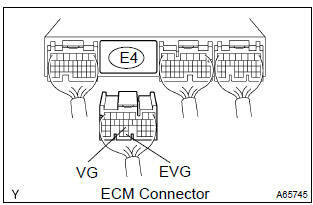 disconnect the e4 ecm connector. 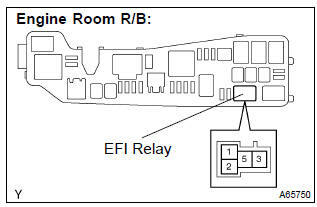 Remove the efi relay from the engine room r/b. 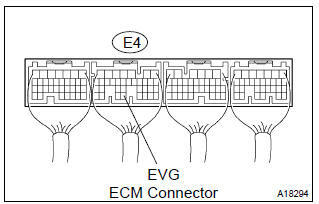 Check the resistance between the terminals of the e4 ecm connector.